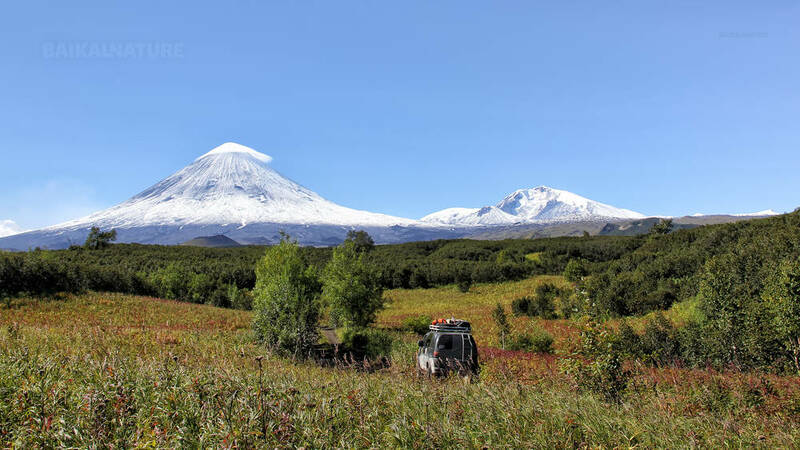 This is a general tour which grants the best opportunity to get acquainted with all main attractions of Kamchatka: active volcanoes, hot springs, wild nature and traditional culture of native peoples without expensive helicopter flights. Nevertheless you also have an option to take a helicopter excursion to the world famous Valley of Geysers. 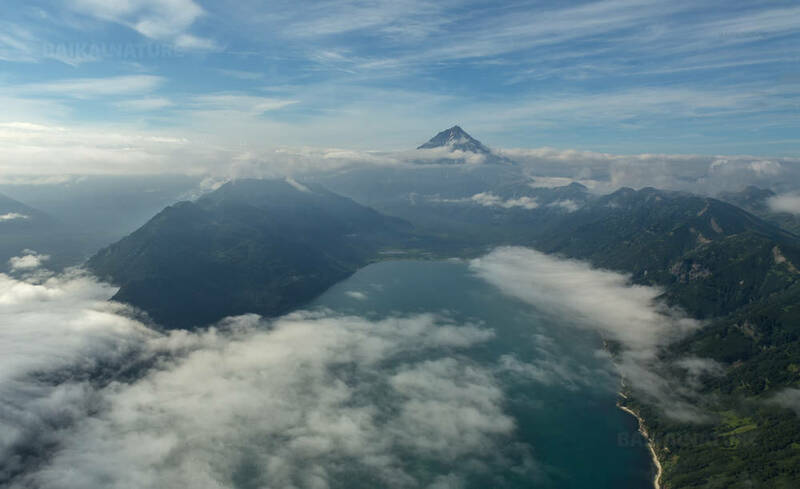 You'll visit the Tolbachik volcano area in the Central Kamchatka 500 km from Petropavlovsk, where the Great Tolbachik Fissure Eruption took place in 1975-76 and has left impressive after-effects: new volcanic cones with hot summits, huge ash fields, hardened lava flows, ash-burned forest. Tops of the new cones are still blazing. The first Soviet lunar vehicles were tested in this area. 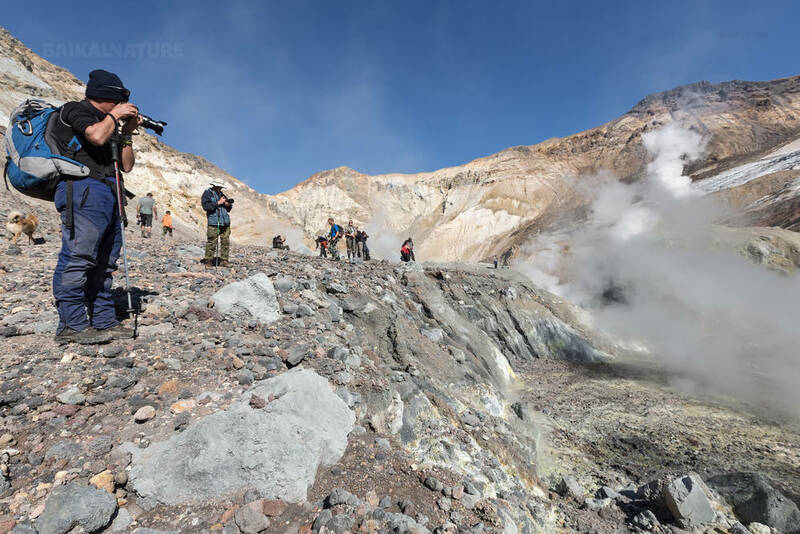 You'll visit the crater of Mutnovsky Volcano with intensive powerful gas and steam spurts and boiling mud cauldrons. 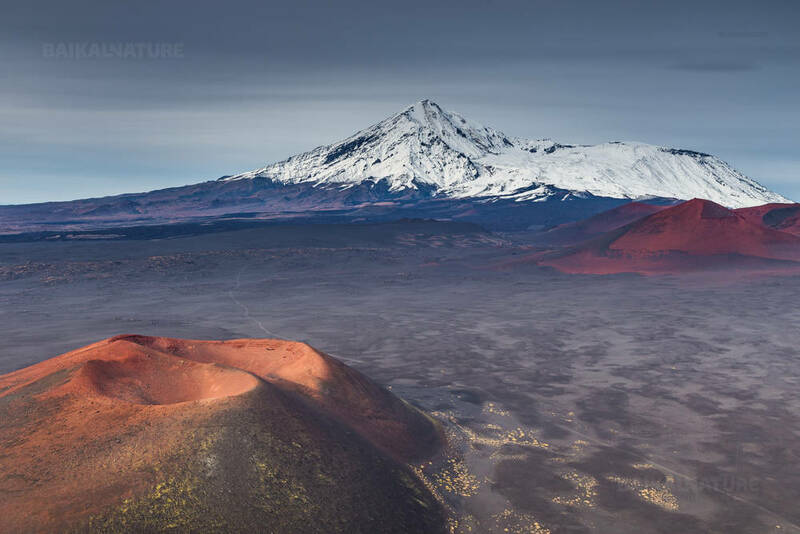 Mutnovsky is considered as the most impressive Kamchatka volcano now because it is always active. 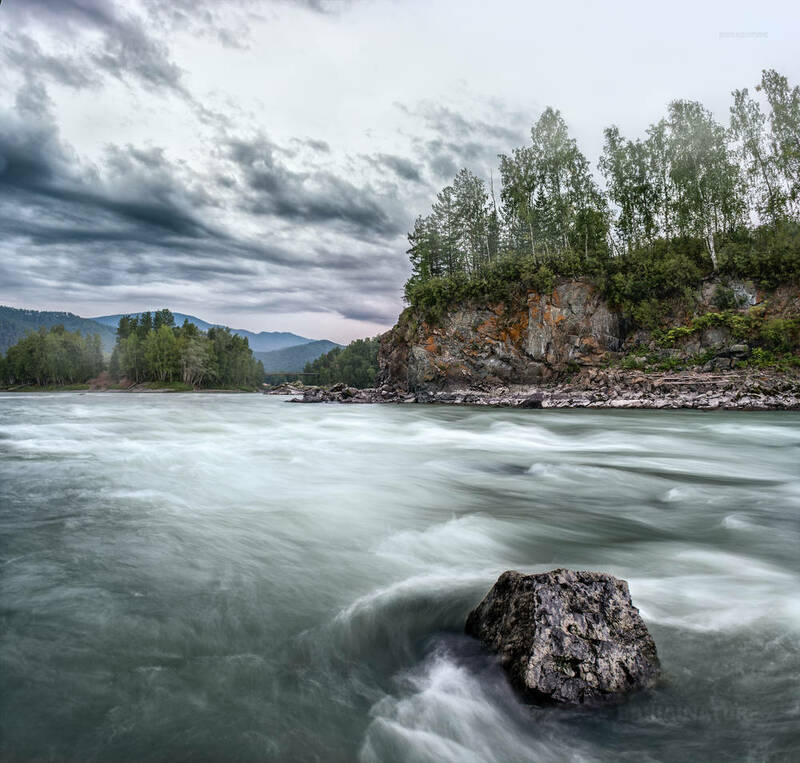 You'll cross taiga and mountains areas rafting down the Bystraya River with good chances to see brown bears and fish salmon. You'll visit national villages of native people - the Evens and get acquainted with their history, culture and present life. You'll also have a chance to see their national holiday The Aborigine's Day if come in proper time. You'll also have some time for relaxation at Paratunka Hot Springs resort. You will get to know your guide and other participants of the group. For the lunch you will taste the dishes of fresh fish. 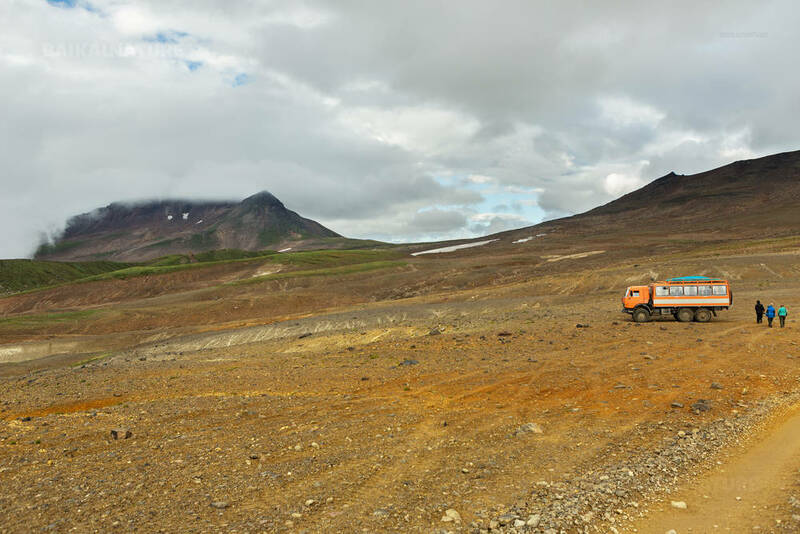 Moving to the volcano Mutnovsky on the off-road vehicle crossing the plateaux of Goreli and Klioutchevskoï volcanos. Seeing active fumaroles, mud siphons, mud pots, the crater lake. The crater of Mutnovsky volcano is one of the most wonderful volcanic phenomena of Kamchatka. Steep walls with shining glaciers surround the wide and deep crater. In case ascending is difficult it is possible to return to the camp. Trekking along the hardened lava flow (coulee), slag fields, seeing 3 craters with lakes in them. A good possibility for having rest with bathing in hot thermal water swimming-pools. 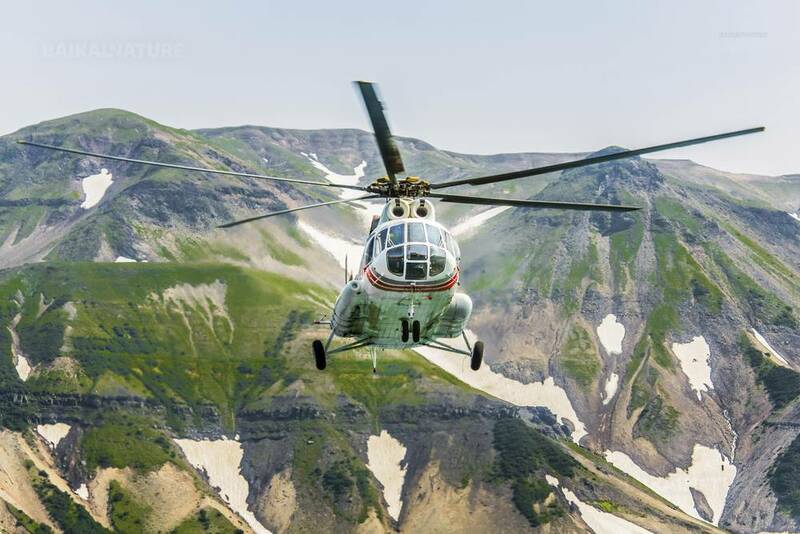 We offer you the following option: - helicopter excursion to the Valley of Geysers and volcanic caldera Uzon, including flight around Karymsky (1486m) and Maly Semyachik (1560m) volcanoes, walking excursion in the Valley and bathing in hot thermal water "Zhupanovsky". This valley cannot be compared with any other unique objects in the world. There are more than 20 big geysers in the valley. Velican (Giant), Zhemchuzhny (Pearly), Sakharny (Sugary), Troinoi (Triple), Konus (Cone), Fontan (Fountain), Maly (Small), Bolshoy (Big), Shchel (Split) – are some of them. There are geysers that gush forth every 10-12 minutes, while others may erupt once in 4-5 hours. The wreathes of steam, fountains of boiling water, incredible colours of slopes, hot water streaming along them and profuse greenery of grass and trees create an enchanting spectacle. Lunch is served on the way. Good rest and bathing in hot springs. 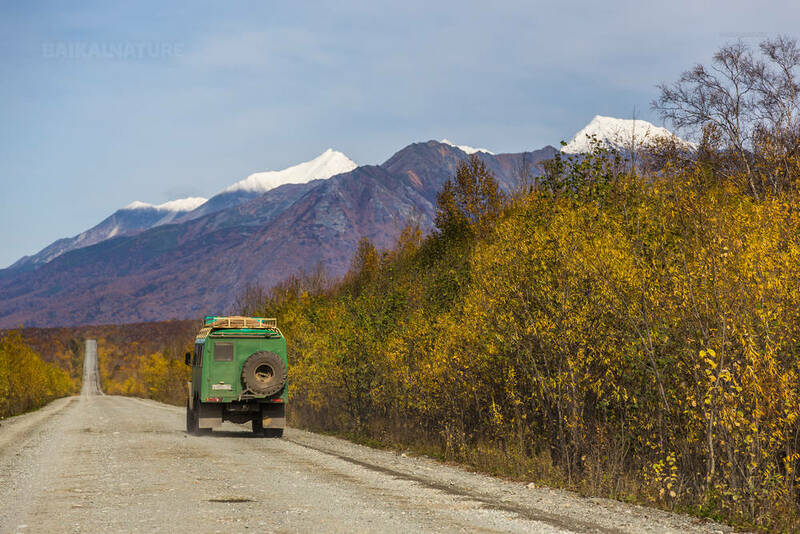 Driving to the foot of one of the most beautiful volcanic formations of Plosky Tolbachik and Ostry Tolbachik. On the way, in fair weather, you can see the highest volcanoes of Kamchatka: Krestovsky (4057м. ), Ushkovsky (3903м. ), Klyuchevskoy (4750м. ), Kamen (4579м. ), Plosky Tolbachik (3082м.) and Ostry Tolbachik (3672м.). 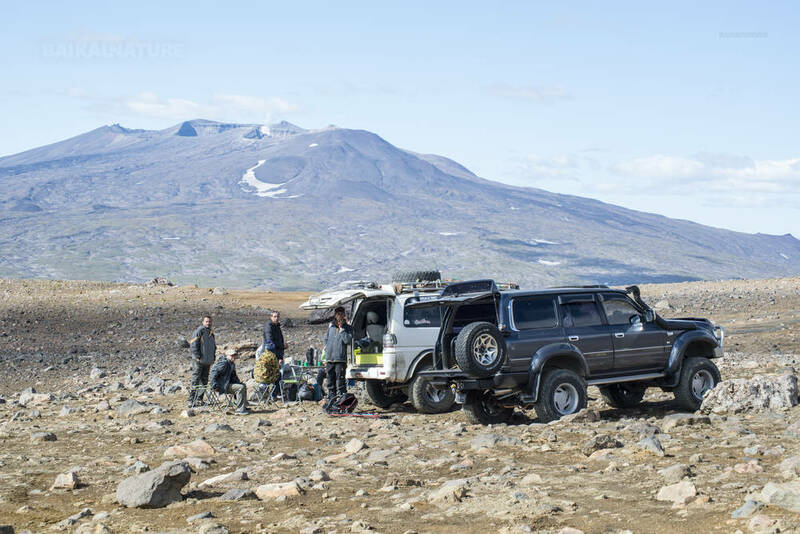 All day exploration of the consequences of the volcano’s eruption in 2013 (“young” cone, great lava flows and lava caves, stone sculptures and heaps of hardened lava). Tolbachiskie cones is a group of tiny volcanoes (about 100-200 m high). Visiting the Dead Forest (a lot of forest hectares were covered with volcanic ashes as the result of the powerful eruption of Tolbachik Volcano in 1975) and seeing the tops of the dry trees above the 7-meter layer of volcanic debris. 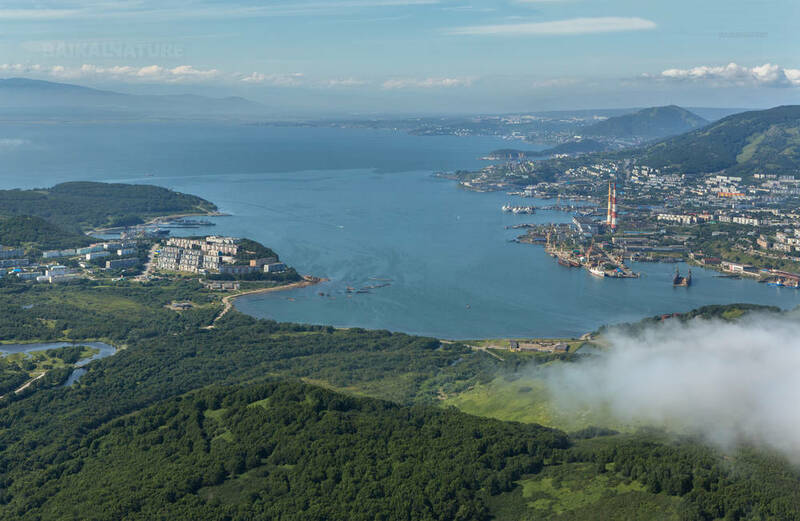 Walking excursion on the one of oldest Kamchatka settlements, founded on the burg of Itelmens – aboriginals of Kamchatka in the 18th century. Visiting the national vrafts workshop, souvenir shop of local craftsmen. Visiting the viewing platform, which open the panorama on the whole settlement and Kamchatka river. Rafting on the Bystraya River (passage of 2 rapids, there is high probability to see bears and salmon). Fishing. This day you will pass only one rapid. 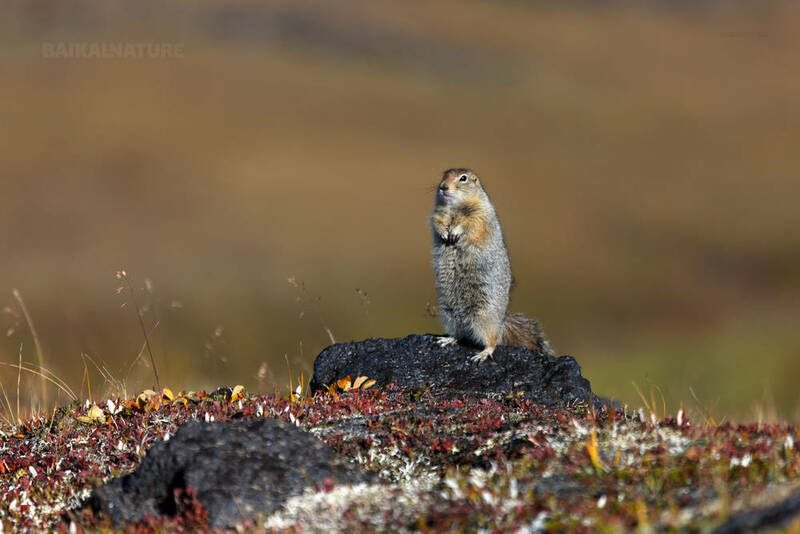 Single supplement – 15 500 roubles / per pers (possible only in hotels and resorts) - order of visits can be changed according to the dates of departure (especially during the tours in June) - average price of the lunches in Milkovo – 250-300 roubles - helicopter tour to the Valley of Geysers: 42 000 roubles (price of 2018, possible to be changed).